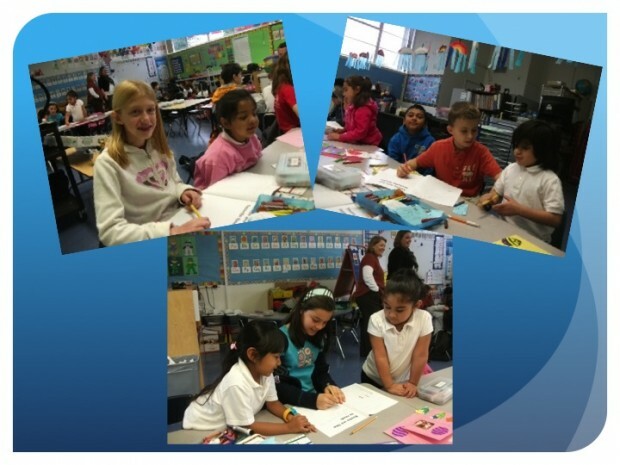 ISTP's 4th grade recently partnered with East Palo Alto's Brentwood Academy for a service based learning project. 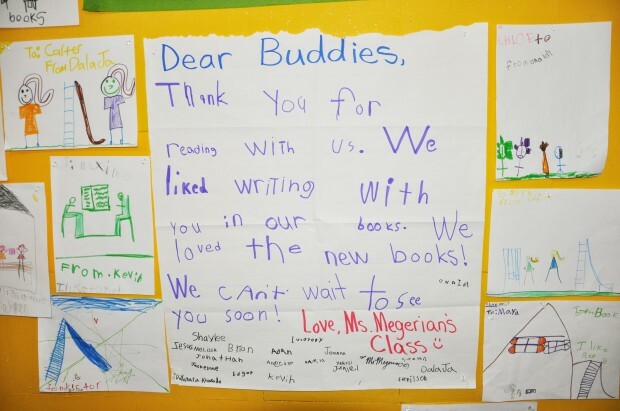 Christina Campbell, 4th grade English teacher, contacted the school and asked if they would like to establish a buddy program - sister schools where children learn, read, write, and share time together. 4th Grade students collected gently used books from home (310 were collected!) and brought them to Brentwood Academy, where each ISTP student was teamed up with two Brentwood Kindergarten students. Mrs. Campbell said, "the students had a fabulous time sharing, laughing, and learning together. We are all ready to return next month!" Alexandra: "I taught my buddy about different words and that reading is fun. 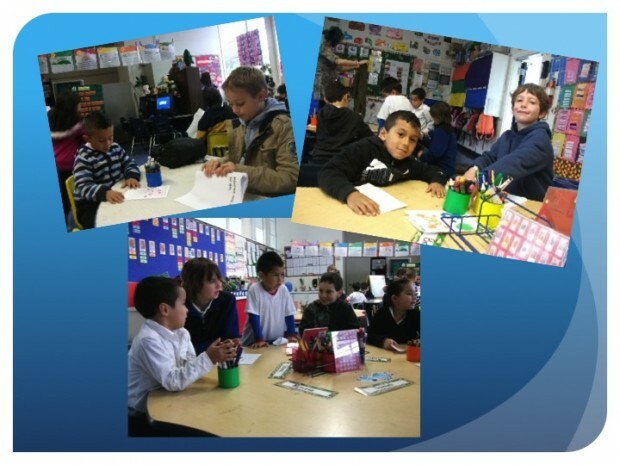 I loved this field trip to Brentwood because everyone feels good when they help people." Cyprien: "I taught my buddy how to talk as he was mixing his past and present tenses. I learned that I was capable of taking care of a little child." Manon: "I taught my buddy how to read better in English. One girl was really shy, she couldn't read. I would explain the words to her." Ryan: "I learned that they're not at all different from us at ISTP." Maya: "I learned that I'd love to be a librarian who reads to children." Carter: "I learned no matter how far away you are from them, you can still teach them about the world by reading their favorite book and you can still teach the world what they taught you." A big THANK YOU to Brentwood Academy for allowing us to partner with them for our service learning project.